Monarch airlines have collaborated with a leading food psychologist, Professor Charles Spence, to produce a menu of mood enhancing food to lift the spirits of travellers and attempt to relieve some of the stress of flying. 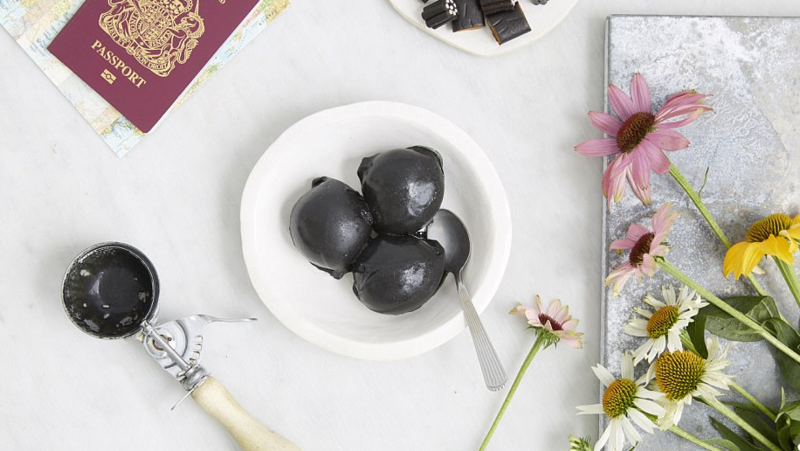 Spence, known for his work with Heston Blumenthal, has produced a weird and wonderful menu including black ice cream and other oddities. The menu will be offered free of charge on select European flights. About 30 minutes into the flight, passengers will be served a herbal tea blend of chamomile, fennel seed and kelp, to aid with bloating and indigestion. The tea will be accompanied by a crunchy seaweed biscuit. Shortly before touchdown, travellers will be served up a caramelised nut bar with a sprinkling of powdered mushroom and tomato, to awaken the senses. Monarch have released the menu as a solution to the problem that about a third of British travellers cited the stress of travelling as their biggest holiday mood killer, after bad weather. Initially, the boxes will be trialled on flights from Luton to Naples, Gibraltar and Malaga, and could be extended to other flights if they prove popular with passengers.